Why do we so love living in Rio? The traffic is terrible, the city goes into gridlock when it rains, the bay is polluted, and sometimes the beaches too, when bathing is forbidden. At the moment there are roadworks everywhere, due to preparations for the Olympic Games in August 2016. City Hall is attempting to improve transport facilities, mainly from the South Zone out to Barra da Tijuca, where the Olympic Park is being built. This includes roads, the Metro, bus routes (BRT) and bike tracks. Well, it depends a lot on where you live in Rio, and what you mean by “Rio”. 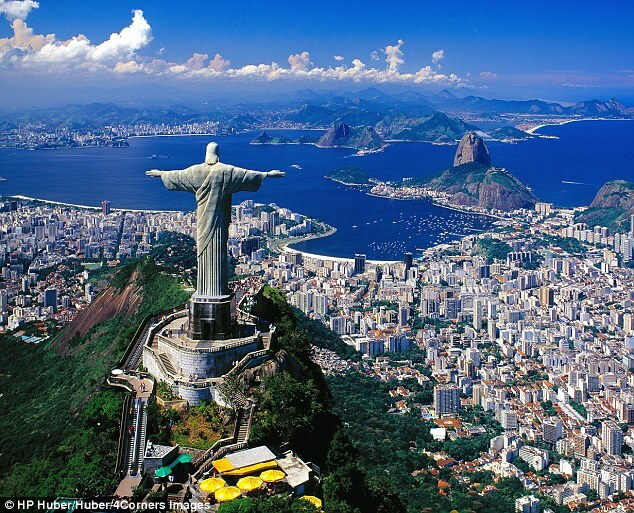 Rio de Janeiro is a city and a state. The city has North, South and West “zones”, and the state – one of Brazil’s smallest – stretches from the border with the state of São Paulo in the South, to Espirito Santo in the North, with the state of Minas Gerais on its Western border – with of course the sea to the East, and a coast line measuring 635 kilometers. In this article I am not talking about the general population, but mainly about expats and their choices of places to live. Most of course choose to live within Rio’s municipal limits, but there are the more adventurous who live in or have weekend homes in Angra dos Reis in the south, Teresópolis, Petropolis or Nova Friburgo in the mountain region, or across the bay in Niteroi, north to the lake district around Araruama, Buzios and of course the oil and gas population in Macaé. In Rio itself we have the three “zones”. The North zone is the largest, and is basically the industrial area of Rio, so not so attractive to the expat. There are some interesting places though, and many years ago groups of British families lived in houses and gardens in places like Maria da Graça and Bangú – and worked in the adjacent textile mills. Most of the mill buildings have now either been demolished or converted to shopping malls, which are worth a visit. Further out along the Avenida Brasil are boroughs you hear about but probably never visit, such as Bonsucesso, Meier and Madureira, and of course the Ilha do Governador, home of the International Airport, is a popular residential borough, with streets still full of houses and gardens. An interesting place to visit, out at the end of the Avenida Brasil, after passing through some fascinating urban scenery, is the Aerospace Museum, in Campos dos Afonsos. The museum is huge, and well organized, containing over 80 aircraft, including a replica of the Santos-Dumont 14-bis, and the Republic P-47 Thunderbolt, flown by the Brazilian Airforce during WWII in Italy. See www.musal.aer.mil.br. For the book “Senta a Pua”, the story of the Brazilian airforce in Italy, which was translated to English by myself, Chris Hieatt, and my son Brent – click here. But back to living in Rio. I won’t spend much time on the city center, though there are residential areas, especially in the older parts of town, such as Santo Cristo, Saúde and Gamboa, where revitalization of the Rio Port district is going to create more apartment blocks, including what will be the highest residential building in Rio – see the “Porto Maravilha” posting on this blog. Another project for this area is the “Trump Towers” – five soaring skyscrapers that will change the port landscape for ever. São Cristóvão is also a popular borough, with historic buildings and Rio’s Zoo. The Zona Sul, or South Zone, has up until now been the most popular area for expats to live. The Western Zone, or Barra da Tijuca and beyond, has recently been giving it a lot of competition, and I’m not sure today which area has the most expat residents, but Zona Sul is still very popular. Coming out of the center, one passes through Flamengo and Botafogo, the main attractions being Flamengo Park (locally known as the “aterro”, as it was created by reclaiming land from the bay) the bay itself and the Sugar Loaf. At the end of Botafogo, just before the tunnel, one can bear left to Copacabana or right to Humaitá, leading to the lake (Lagoa), Jardim Botanico and Gávea, overlooked of course by the even more famous statue of Christ on the Corcovado mountain. On the Copacabana route one comes eventually to Ipanema, Leblon, and round or over the rocks to São Conrado and Barra da Tijuca. Views on the way include the Dois Irmãos mountain and the Pedra da Gavea. The Avenida Niemeyer skirts the sea around the rocks between Leblon and São Conrado, and recently a section of the newly built bike track was destroyed by heavy waves battering the rocks below. Copacabana has become very crowded, and full of tourists, mainly due to the hotels all along the beach front. However some people like the crowds and the variety of shopping facilities, from small stores to supermarkets and minor shopping malls, known locally as “galerias”. There are plenty of restaurants, and the kiosks along the beach have recently been expanded and made more tourist-friendly with underground restrooms and other features. 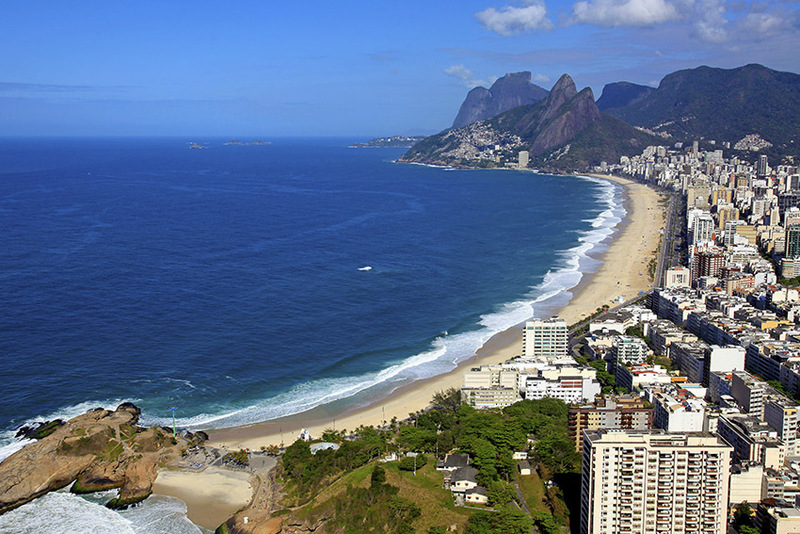 Ipanema and Leblon have always been popular with expats. Houses built in the 40s and 50s have almost totally disappeared, giving place to apartment buildings of all shapes and sizes. Values along the beach front are astronomical both for rental and purchase, in fact all real estate in this area has gone up in value over the last few years, especially in Leblon, where new or refurbished shopping malls have appeared, and there is a new building going up in almost every block.